Thread: Afghanistan War in Retrospect. How are historians casting our most recent involvement in the county? maybe someone in a relevant field can shed some light. Or maybe it's too soon. Personally, I hope to God the country can maintain order. That's probably a reoccurring sentiment among most who spent years over there, restructuring the government as it were, developing civic institutions that may or may not last. Now is a pivotal point. Elections are at hand, and the news is reporting periodic car bombings but nothing to prevent thousands of citizens-- including women who'd been brutalized by the Taliban--from voting despite the threats. This makes me optimistic, like we had a purpose that's being realized, that all the human costs will amount to more than the turmoil that has plummeted Iraq, thereby justifying rage and claims of imperialistic motives when that invasion is historically assessed. I would be extremely wary of saying that we had a purpose that is being realized. For that, one would have to weigh it against a series of alternate scenarios. What if we had done nothing? Or what if US international policy called for monetary support of economic development and socially progressive policies minus the warfare? E.g. micro-lending with conditions of female empowerment and education. Which isn't to say that nothing positive came of it, just that a positive outcome doesn't indicate that it was worth the cost, if that outcome could have been achieved by less destructive means. Anyway, it's not like a vote by itself indicates any particular degree of democracy. What are all of the conditions surrounding the vote? Who controls the candidates? How will the winner(s) operate in the context of the whole government and society? So far as the candidates, who knows really? But this gal is noteworthy. Her name is Habiba Sarobi, and never mind her gender. After the Russians left, the Pashtuns systemically killed anyone of her ethnicity, Hazarra. This was not many years ago. And considering that Pashtun represent the largest group and compromise most of the Taliban's ranks, its amazing she's been able to remain on the ticket, I think. Last edited by Makers; 04-13-2014 at 09:32 PM. It's amazing what people can do in the name of religion. So many people with so many different beliefs are so absolutely convinced that they are right. This applies equally to politics and anything else where "belief" is strongly expressed yet contradictory facts ignored. In a stochastic universe, rigidity and absolutism are usually wrong. The older I get, the more convinced I am that I've been wrong too often. That's why I now feel less obligated to have an opinion about everything, to be "right" about anything, and to say "I'm sure." When it comes to war, it seems that the only righteous, beneficial wars are those like WW II, which, for many nations including the US, was an existential threat. Well, one can justify the use of force for many different reasons. On the old realist perspective that force is about an anarchic world order where countries are at each others throats seeking to get ahead in the world and where might makes right... You have to say even on this basis the US has frittered away much of its strength on an essentially quixotic scheme against an abstract threat that bears little to real security issues except in the over-exaggerated horror-house imagination of the average voter. The older I get, the more convinced I am that I've been wrong too often. That's why I now feel less obligated to have an opinion about everything, to be "right" about anything, and to say "I'm sure." Many of the decisions of the great and the powerful are based on mistaken notions too. Much of history is written by those whose decisions were based on the least erroneous assumptions. Which is why I think an attitude, or ability to accept that you can be wrong, to allow yourself to be influenced by and affected by rational arguments of other people, even if you dislike what they are saying and to be swayed by evidence that you might not want to see, and to be skeptical of your own beliefs and motivations are highly valuable mental faculties. They go against every human instinct though, so are hard or impossible to develop fully... but even an attempt to put yourself in this position is better than adamantly refusing to see your own fallibility. One must not dig deep to discover the truth of Afghanistan’s once promising past, the US-backed armed conflict that destroyed it, and the resulting dark age it suffered through as a direct result. 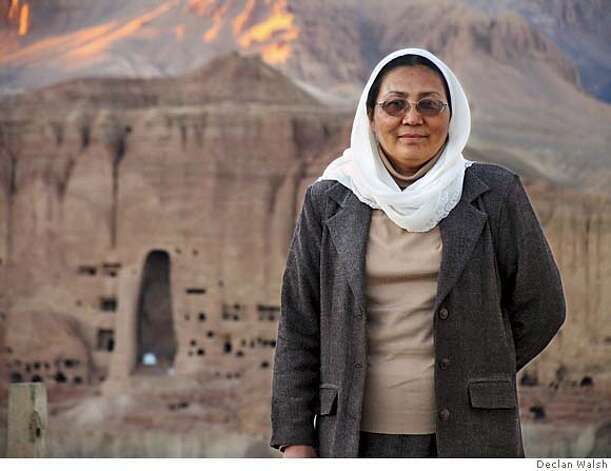 PBS provides a timeline of women’s rights in Afghanistan that begins in 1907 and ends in 2011. The highpoint was in the 1960s and 70s when Afghanistan was the benefactor of Soviet influence. The rollback of these achievements occurred with the rise of the Taliban, an alliance that was bolstered militarily by the United States in its bid to challenge the Soviet Union via a costly proxy war. Ironically, NATO troops, led by the United States, have been fighting the very tribesmen they had funded, armed, and trained for a decade in a proxy war with the Soviet Union. The common saying, “the enemy of my enemy is my friend,” is often the crutch proponents of US aid to these tribesmen cite, but in reality, the Soviets were attempting then to implement many national reforms generally considered “Western” and “progressive” in nature. The decision by the West to intervene by association with tribesmen who diametrically opposed these reforms, was based not on principles, but on a desire solely for geopolitical power. What might Afghanistan have looked like without billions of dollars in funds and weapons poured into rural tribesmen, eager to overturn reforms implemented by a Soviet-backed government in Kabul? Decades later would Afghanistan still be teetering between progress and regression, on the razor’s edge between a dark age and a renaissance? For those around the world, particularly those who have followed the conflict in Afghanistan or have in fact, participated in it, suffered and sacrificed for it, eyes must begin to open and see that power, not principles, drive the West’s ambitions globally. Last edited by wise fool; 04-14-2014 at 11:57 AM. The article makes it sound like there is nothing to be gained from current developments. Progress from 60 years ago may be an illusion, but 10 or 20? I don't think so. Failure will result from an American public using cynicism to disengage. The Taliban and the Carter/Reagan-era Mujahedin are not synonymous. The former emerged in the 1990's as a sort of splinter faction from what was always a tenuous alliance of groups with only narrowly overlapping interests. This was a good book which I unfortunately lost my copy of before I finished it, but needless to say the history is quite complicated. As far as the thread question, I'd personally go with "it's too soon to tell." Whenever the US military does pull out will be the beginning of our ability to truly assess the lasting impact of what they did there. Trying to prop up a crap government that had no domestic legitimacy was one of the major mistakes in Iraq, with effects that seem to have lasted beyond the point of holding elections to choose a new government. I wonder how much Karzai and co will turn out to have fallen into a similar category. I had an Afghani professor in grad school. When he's not teaching in the States he's over in Afghanistan trying to get schools established. He talked about it a lot, and among his commonly made points was the idea that people there have a sense of it as a place which several empires have tried and ultimately failed to conquer, and a sense of pride in that fact. Meaning that they obviously do want to develop their country and are glad to accept outside help, but not if the help seems to be part of a foreign military occupation. He was especially critical of US military forces trying to tap NGO's as a source of intelligence about the Taliban. He said groups like, say, Doctors Without Borders were generally welcome even in areas with lots of insurgent activity until this started happening--once people got the idea that talking to a DWB or Red Cross volunteer was equivalent to spilling the beans on who in the village was working with the Taliban, cooperation dried up and people trying to do things like, well, build schools in remote areas saw their jobs get quite a bit harder. I just want to climb there without getting my head cut off. Something that tends to get lost in discussions of the long-term impact of wars is the intrinsic harms of simply having a war fought in the place where you live regardless of the context of why that war occurred or how it ended. For instance, here's a short clip from Russia Times (admittedly I'm not familiar enough with this news agency to have an opinion on its reliability, but this doesn't seem a dubious claim to me) noting that the United States military has now become a major contributor to the problem of accidental deaths from leftover land mines and unexploded bombs that have accumulated around Afghanistan during its modern history of repeated foreign invasion. The US contribution alone is said to represent 800 square miles (roughly twice the area of New York City, as noted in video) covered in unexploded ordinance of one sort or another.